Portugal. Proceedings of the Bioenergy: Challenges and Opportunities. International Conference and Exhibition on Bioenergy. Universidade do Minho, Guimarães, Portugal. April 6th – 9th 2008. • BOTELHO, H., Vega, J.A., Fernandes, P., Rego, F., 1994. Prescribed fire behavior and fine fuel consumption in Northern Portugal and Galiza maritime pine stands. In Proc. 2nd Int. Conf. on Forest Fire Research, Viegas, D.X. (Ed. ), Coimbra, pp. 343-353. • CHAVEZ, P. S. JR., 1989. Radiometric Calibration of Landsat Thematic Mapper Multispectral Images. Photogrammetric Engineering And Remote Sensing. Vol. 55, N.9. Pp. 1285-1294. • CHIRICI, Gherardo; Barbati, Anna and Maselli, Fabio, 2007. Modelling of Italian forest net primary productivity by the integration of remotely sensed and GIS data. Forest Ecology and Management 246, 285–295. • DELPHIS F. and Levia Jr, 2008. A generalized allometric equation to predict foliar dry weight on the basis of trunk diameter for eastern white pine (Pinus strobus L.). Forest Ecology and Management, Volume 255, Issues 5-6, 5, 1789-1792. • DGRF, 2007. Resultados do Inventário Florestal Nacional 2005/06. Planeamento e Estatística. Direcção Geral dos Recursos Florestais. 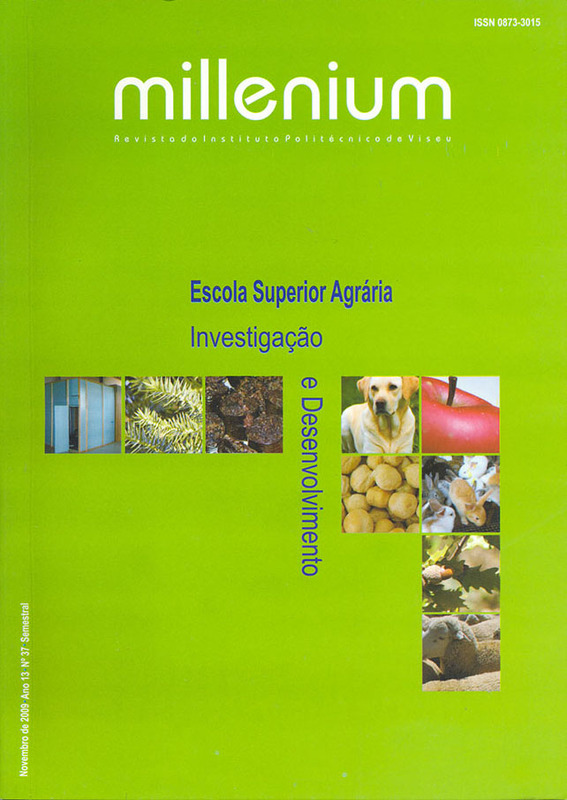 Ministério da Agricultura do Desenvolvimento Rural e das Pescas. Lisboa. bravo. Silva Lusitana 10(1) : 73–90. tridentatum and Erica umbellata. In Proc. 3rd International Conf. on Forest Fire Research & 14th Fire and Forest Meteorology Conf., D.X. Viegas (Ed. ), Luso, Vol. II, pp. 2553-2564.
arid environments. Journal of Arid Environments, Volume 69 (2), 352-358. • FOROUGHBAKHCH, Rahim; Reyes, Gregorio; Alvarado-Vázquez, Marco A.; Hernández-Piñero, Jorge and Rocha-Estrada, Alejandra, 2005. Use of quantitative methods to determine leaf biomass on 15 woody shrub species in northeastern Mexico. Forest Ecology and Management, Volume 216, Issues 1-3, 12, 359-366.
for MODIS-EOS. Remote Sensing Of Environment. Vol. 59. Pp. 440-451. Sensing of Environment, 23, 213-232. • LILLESAND, T.M. ; Kiefer, R.W. ; Chipman, J.W., 2004. Remote Sensing and image Interpretation. Fifth Edition, John Wiley and Sons Inc., New York, 764p. • MENG, Qingmin; Cieszewski, Chris J.; Madden, Marguerite and Borders, Bruce, 2007. A linear mixed-effects model of biomass and volume of trees using Landsat ETM+ images. Forest Ecology and Management 244, 93–101. MODIS satellite data: A possibility to verify carbon inventories. Remote Sensing of Environment, 107, 617-624. • NEEFF, Till, 2005. Spatial modeling of primary and secondary forest growth in Amazonia. Forest Ecology and Management 219 149–168. temperate pine plantation forests. Agricultural and Forest Meteorology, Volume 140, Issues 1-4, Pages 51-63. • REGO, F.C., Pereira J.P., Fernandes, P.M., Almeida, A.F., 1994. Biomass and aerial structure characteristics of some mediterranean shrub species. 2nd International Conference on Forest Fire Research 1B, 377-384. Ecology and Management, Volume 222, Issues 1-3, 75-87.
aérea de Eucalyptus globulus. Actas do 6º Congresso Florestal Nacional. 6-9 Outubro 2009.
biomassa aérea da Pinus Pinaster. Actas do 6º Congresso Florestal Nacional. 6-9 Outubro 2009.
algumas espécies arbustivas de Portugal. Acta do 6º Congresso Florestal Nacional. 6-9 Outubro 2009.
deciduous forest site. Remote Sensing of Environment 94, 244–255. Area Biomass Estimation: Three Approaches Using Forest Inventory and Remotely Sensed Imagery in a GIS. Sensors, 8, 529-560.
biomass mapping. Journal of Environmental Management 85, 616–623.